We are engaged in manufacturing and supplying Semi Electric Stacker With Wide leg. The Semi Electric Stacker With Wide leg is engineered by the professionals by adopting most advanced techniques. 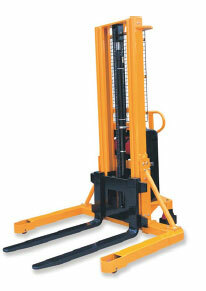 The standard machine is available up to a lift height of 1600mm. An option up to 4200 mm is also available.